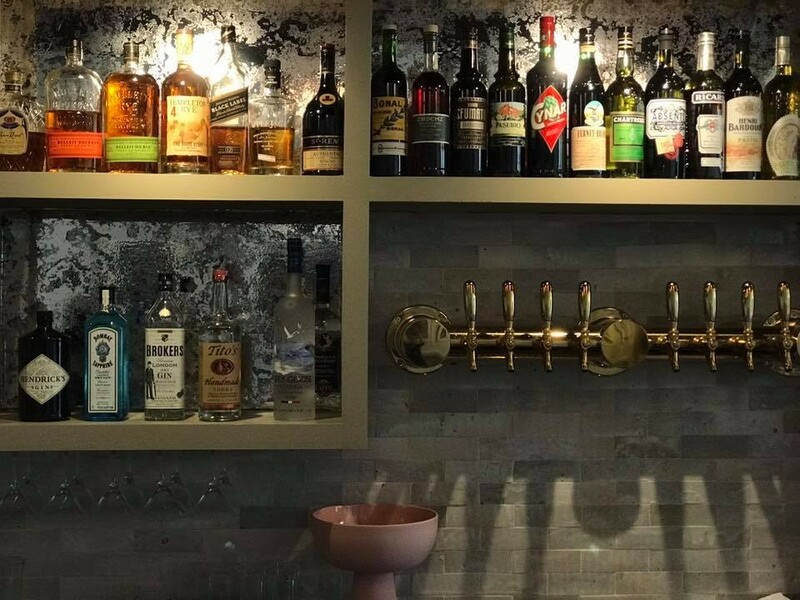 “What bistro doesn’t have a great bar?” asks Jeff Gimmel, who along with his wife Nina, recently renovated and reimagined Le Perche, a wonderfully light and airy French restaurant and wood-fired bakery in Hudson, NY. 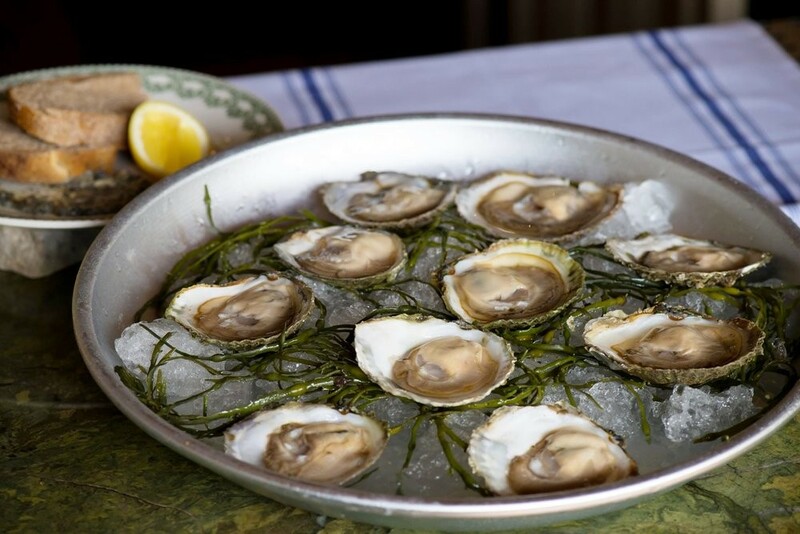 It is the sister restaurant to nearby Swoon Kitchenbar, and the menu, created by partner and Chef John Carr, is an interpretation of French classics and seasonally inspired cuisine utilizing local farm goods. In describing this ‘neo-bistro,’ Gimmel cautions that guests should not expect “haute cuisine or fancy service.” He and his team prefer to communicate a sense of place over a reverence for tradition. After attending Bard College, Carr entered the restaurant world as a dishwasher at Le Petit Bistro in Rhinebeck. Shortly after, he met the Gimmels and spent a year working with them at Swoon. He then moved to New York City to pursue his culinary career, which eventually led to a four-year stint as Executive Chef at Upper East Side establishment Sfoglia. After seven years of focusing on Italian cuisine, John turned his interest to French cooking and opened two restaurants with famed restaurateur Eli Zabar. With a first-hand understanding of the power of a good natural wine list and a market-based menu, John was ready to leave Manhattan and pursue his dream of opening a small French restaurant in upstate New York. Just so happens that at the same moment, Gimmel was formulating plans to do exactly that. When he started looking for a chef, Carr came to mind as somebody who “knows more about this business than anyone else I know.” Kismet has a way. Carr’s food is certainly inspired by French technique and ingredients, but he’s sure to keep the modern diner intrigued with his wholly original creations. You can get a bowl of olives but they’ll come with harissa; escargot is rightfully there, but Carr serves it with preserved ramps and chilis; the scallops, perfectly grilled, lay in a bowl of dashi, accompanied by freshly foraged chanterelles and purslane. The drink program includes a largely French wine list, progressive cocktails, local cider, beer, kombucha, and house-made shrubs and natural sodas. When I first sit down with Jeff, he pours me a pint of Kronenbourg lager and then bar manager Lauren fixes me up with two cocktails: the Le Perche Last Word, a classic French cocktail of gin, absinthe, chartreuse, and orange peel; and an Evening Shandy, made with vermouth, lemon, ginger, and the aforementioned Kronenbourg. “Bread is an essential part of life,” says Gimmel, and the breads of Le Perche’s bakery program are sure to become an essential part of life in Hudson, if the crusty baguette I sampled is any indication (perfectly salted housemade butter available upon request). Gimmel takes me across the neatly-appointed patio where a table of diners enjoy an early dinner, and into the two-story building out back that houses the bakery and looks as if it has been brought here from the French countryside. The comparison is apt, as the centerpiece brick oven was indeed brought to Hudson from the former province of le Perche, giving the restaurant its name. 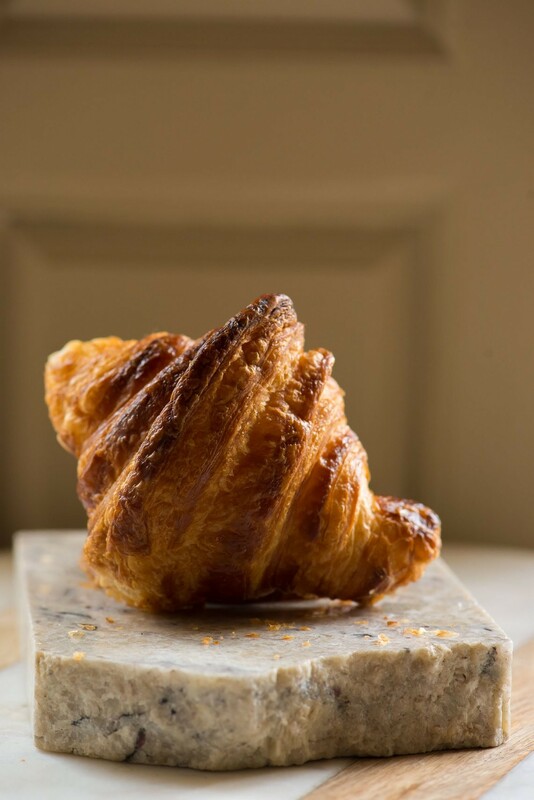 The bakery will focus on not only naturally fermented breads, but classic viennoiserie, pastries, and contemporary plated desserts. Speaking of, I conclude my meal with one of the most traditional of French desserts—an expertly prepared chocolate mousse, served with nothing but whipped cream and a bit of flaky sea salt. It is served in a bowl of china, devoid of any contemporary flourishes. It is perfectly timeless and I can’t help but think that a dessert like this is just as much an essential part of life as bread.